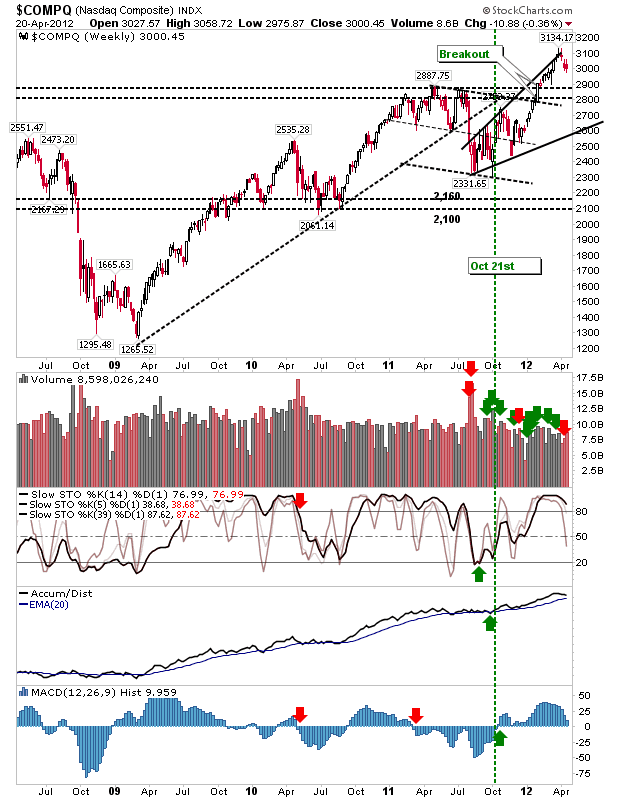 Markets posted gains in what appears to be a test of support. 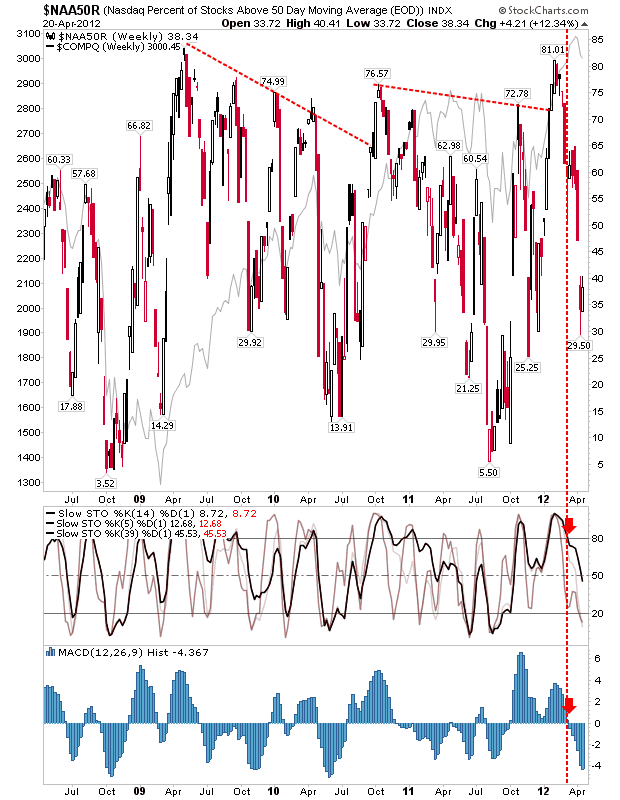 Breadth also dug its heels in, although it's not at at an area where strong swing lows develop. The Russell 2000 is attempting support at the 2010/11 neckline, but it may yet require a channel test to firm up a lasting swing low. 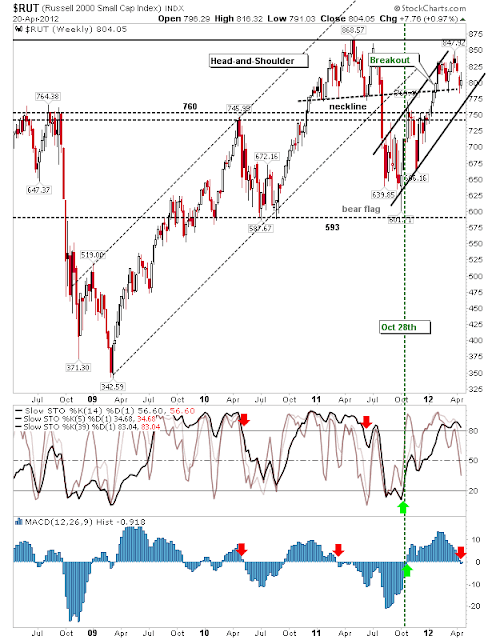 The Dow dug in at the 2011 swing high c 12,825, although the MACD switched to a 'sell' trigger. 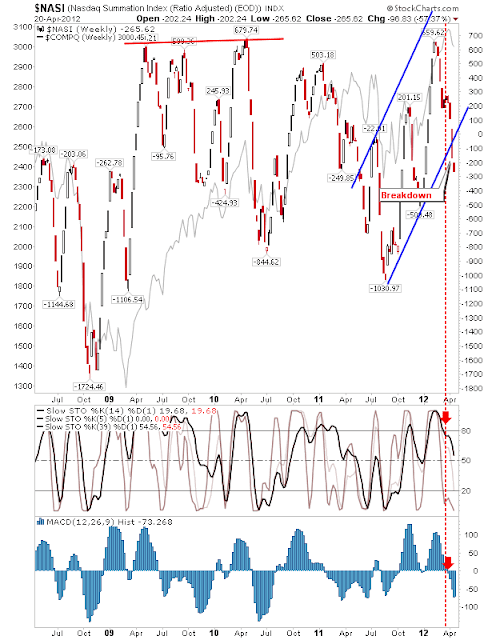 The Nasdaq remains well above its nearest support level which makes it difficult to predict where buyers may step in. The MACD is close to a 'sell' trigger, but isn't there yet. The Percentage of Nasdaq Stocks Above the 50-day MA is again attempting a swing low after the last one in March failed. 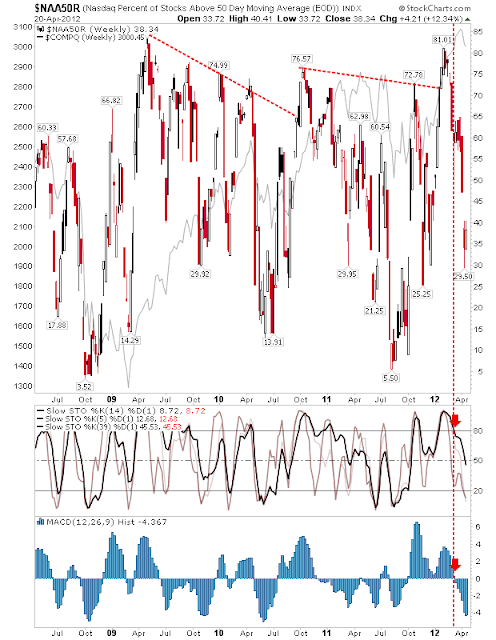 Note, stochastics are a long way from an oversold condition. Although the Summation Index is still bearish and is probably a few weeks away from a bottom. 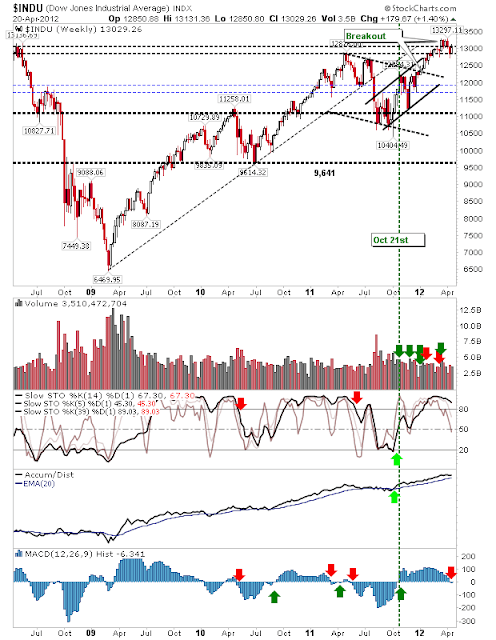 The indices and supporting breadth give a mixed message which suggests it could be another week of indecision for the markets. 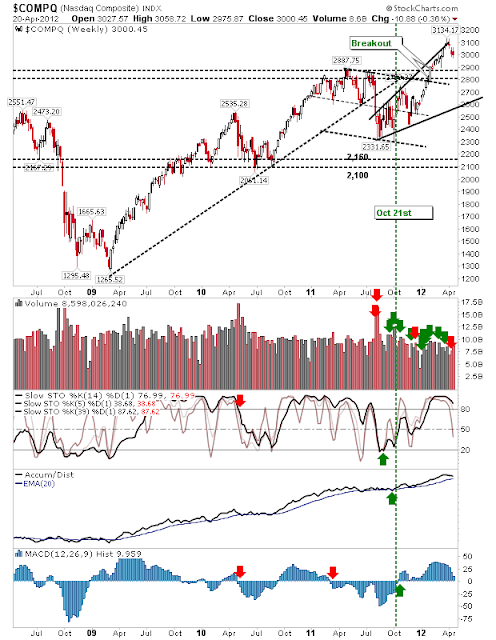 The Dow and Russell 2000 are trading nearest support and offer the lowest risk for new buys. Shorts don't have a lot to work with - yet.